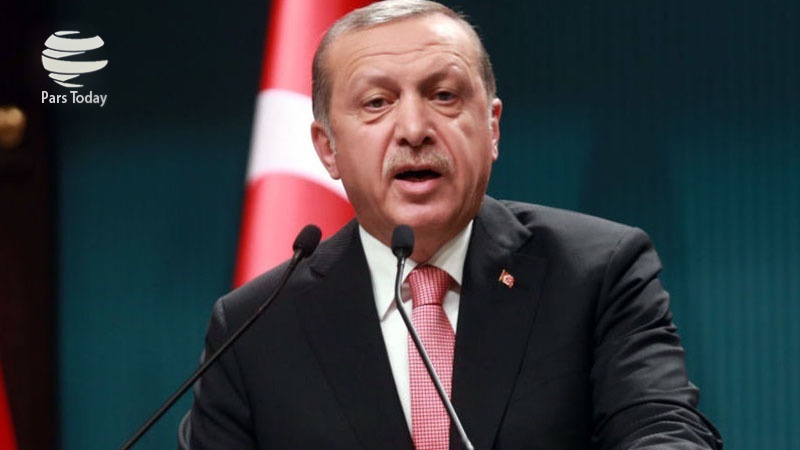 Turkish President Recep Tayyip Erdogan says his country’s military forces will have no business in Syria’s northern town of Manbij once Kurdish militants from the US-backed People’s Protection Units (YPG) withdraw from the area. “These areas belong to Syria. We are against the division of Syria. Our sole aim is to remove all terrorist organizations from there. Once terrorist organizations have left the area, we will have nothing left to do there,” Erdogan told reporters in Turkey’s largest city of Istanbul after Friday prayers. He added that Ankara’s goal is to teach the YPG terrorist group a lesson, and it is determined to make such a thing happen. The remarks came after Syria’s military announced it had taken control of Manbij, which lies in mainly Arab territory west of the Euphrates. Kremlin Spokesman Dmitry Peskov said on Friday that Moscow welcomes the reports that Syrian government troops have gained control of the flashpoint town, which is located 30 kilometers west of the Euphrates. Kurdish forces, who were left exposed by Trump’s pledge to pull out American soldiers from Syria, have asked Syrian government forces for help amid indications that Turkey is considering a military campaign against them. Meanwhile, Turkey’s official Anadolu news agency reported that Turkish-backed militants from the so-called Free Syria Army (FSA) are sending new military reinforcements to Manbij frontline in Syria. US troops are reportedly patrolling the town, and have bases on its edge to prevent any possible friction between Kurdish and Turkish-sponsored militants. Manbij has been a major bone of contention between Turkey and the United States. Ankara has complained over the slow implementation of a deal reached with Washington in June, which would see the YPG ousted from the town and moved back to the eastern bank of the river. Over the past few days, the Turkish military has been sending reinforcements to frontline areas with YPG militants in northern Syria.